RE/MAX Choice Executives is a cutting edge, high tech real estate office in the heart of Covington, WA, serving the greater Puget Sound area home buyers and sellers. With experienced brokers holding to a high standard of honesty and integrity ready to serve all your real estate needs. Bringing buyers and sellers together for real estate success! As a full time REALTOR®, I make home ownership a reality for home buyers and successfully find qualified buyers for clients selling their homes. Now is a great time to buy and sell. Interest rates are at an all-time low, why pay rent when you can own? Join us this Sunday for dynamic worship & teaching, as well as amazing kids and middle school environments! Show up a few minutes early for some complimentary coffee or something from our espresso bar! We’re a credit union, not a bank. What does that mean? Red Canoe is a not-for-profit financial cooperative. Your $5 savings opening deposit buys you one share in the credit union – that makes you an equal owner of this financial institution. We’ve been a cooperative since 1937, the money we earn goes back to our members (people like you), not into the pockets of stockholders like a bank. The traditions of credit unions are near and dear to our hearts; not for profit, but for people. We’re local and we love talking to people. You can come in or call anytime. We love it! As a cooperative, we’ll look for ways to save you money, any way we can. Red Canoe representatives are rewarded for finding you the best deal – not on making record profits. Credit unions have a commitment to give back to the communities they serve, and Red Canoe is no exception. We’re dedicated to making a difference in the lives of our neighbors. Visit our community page to learn more. That’s right – we’ll pay you cash back when you use your Simply Smart debit card. It’s easy. We know you don’t want a mortgage, you want a home. Our loan officers understand and they’ll do what they can to make the process painless – all while finding the best loan for you. Okay, not always, but we offer a variety of Online Services that are available 24 hours/day to make things simple and convenient. Plus, you have access to an entire network of ATM’s you can use with no fees. Anyone who lives or works in Linn, Benton, Lane, Marion and Polk counties in Oregon. In addition, family members of the before mentioned are also welcome to join Red Canoe. Nestled within the serene Sugarloaf Mountain valley, and only 45 minutes from downtown Seattle and Tacoma, Rein Fire Ranch is the ideal setting for your ideal moments. Whether you are looking for a uniquely beautiful backdrop to stage your own event, or a full service team to do it for you, at Rein Fire Ranch we strive to exceed your expectations. Spread out over more than 10 acres, this rustic country setting includes a number of unique features, allowing you to freely customize your event. A pavilion surrounded by relaxing meadows make for a perfect setting for your ceremony, outdoor reception or special gathering. The bonfire pit is always a favorite for evening gatherings, and our cocktail cabana allows for a more intimate affair. We look forward to having you Visit The Ranch! Republic Services of Kent collects garbage, recycling and yard debris from thousands of residents and businesses in the Puget Sound Region. At Republic Services, we are passionate about what we do because we are passionate about you – our customer. Every day, we strive to make your world and our planet better. We are committed to providing reliable and responsible recycling and waste disposal services to you because we know our efforts have a direct impact on your homes, your communities, and your businesses. 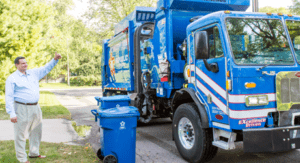 As we serve residential, municipal, commercial, and industrial customers nationwide, we are dedicated to bringing you dependable solutions for your recycling and waste challenges. We are committed to on-time service for your needs while bringing positive changes to the environment in ways such as expanding our recycling offerings, responsibly handling your waste, and adding low-emissions vehicles to our fleet. We make it our priority to find new and innovative ways to best serve our customers, minimize environmental impact and make our planet better. We are a local Coffee house that transitions into lunch and dinner. We serve Paninis, salads, pasta dishes as well as savory appetizers including assorted meat and cheese boards. We have a large selection of wines, 5 beers on tap and specialty Martinis. Please Contact Sheri via phone/email or her Facebook business page. Are you interested in joining? We’re always looking for new members! Why Join Your Local Rotary Club? A founding principle of Rotary was to meet periodically to enjoy camaraderie and enlarge one’s circle of business and professional acquaintances. As the oldest service club in the world, Rotary club members represent a cross section of the community’s owners, executives, managers, political leaders, and professionals-people who make decisions and influence policy. Club members have many opportunities for humanitarian service, both locally and internationally. Service programs address such concerns as health care, hunger, poverty, illiteracy, and the environment. Rotarians experience the fulfillment that comes from giving back to the community. With more than 31,000 Rotary clubs in over 160 countries, Rotarians gain an understanding of humanitarian issues through international service projects and exchange programs. One of Rotary’s highest objectives is to build goodwill and peace throughout the world. Rotary was founded on fellowship, and ideal that remains a major attraction of membership today. Club members enjoy the camaraderie with like-minded professionals, and club projects offer additional opportunities to develop enduring friendships. Rotary club members who travel have friendly contacts in almost every city in the world. Weekly Rotary club programs keep members informed about what is taking place in the community, nation, and world and motivated to make a difference. Rotary sponsors some of the world’s largest youth exchange, educational exchange, and scholarship programs. Rotary clubs provide innovative training opportunities and mentoring for young leaders and involve family members in a wide range of social and service activities. Social activities give Rotarians a chance to let loose and have fun. Every Rotary club and district hosts parties and activities that offer diversions from today’s demanding professional and personal schedules. Conferences, conventions, assemblies, and social events provide entertainment as well as Rotary information, education, and service. Rotary is an organization of successful professionals. Team building, fundraising, public speaking, planning, organization, and communication are just a sampling of the leadership skills that club members can exercise and enhance. Being a Rotary leader provides further experience in learning how to motivate, inspire, and guide others. Rotary’s classification system ensures that a club’s membership represents a variety of the community’s professional men and women, including leaders in business, industry, the arts, government, sports, the military, and religion. Rotary clubs are nonpolitical, non religious, and open to all cultures, races, and creeds.